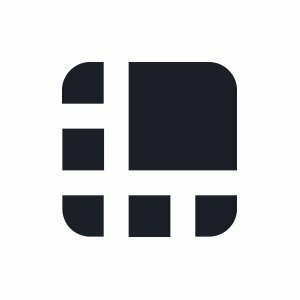 "Easy to use, high security and multi-user support"
Ledger's new product for use in financial and credit institutions or family businesses, with more than one person's access to a wallet. Its performance is excellent and, given the popularity of Ledger, I do not have any negative views on it. Ledger Vault is a multi-user product with hardware keys. Multiple people at a company or fund will have access to a digital wallet at different levels. You can even plan to use two keys to perform a specific transaction. Or even set the time delay for transactions. What Cryptocurrency Custody solution do you use? We envision a future where all types of assets are issued natively on blockchains or represented in tokenized format. It all begins with a full-service, enterprise-grade platform for securing, trading, and servicing investments in digital assets. Anchorage was founded on the belief that technical problems require technical solutions. To help financial institutions invest securely in digital assets, we are building the first crypto-native custodian. A home for your keys. We're a distributed team building the friendliest, most secure key system on the planet. Swiss Crypto Vault developed a proprietary hyper secure cold storage concept. It applies the highest standards of cryptographic, IT and physical security as well as multi-party segregation and multi-signing features. The implementation is regularly reviewed by an independent third party. Kingdom Trust provides a highly secure, qualified custody service designed for financial institutions, hedge funds, investment sponsors, RIAs and family offices. Enterprise multi-signature wallet for digital assets storage and management. AmbiVault helps to enhance the security of your digital assets from unauthorized access. Manage smart contract functions through a user-friendly interface. * We monitor all Ledger Vault reviews to prevent fraudulent reviews and keep review quality high. We do not post reviews by company employees or direct competitors. Validated reviews require the user to submit a screenshot of the product containing their user ID, in order to verify a user is an actual user of the product. Hi there! Are you looking to implement a solution like Ledger Vault?